Glasgow’s decaying Egyptian halls have been offered up as accommodation for the fire-hit Glasgow School of Art by the developers behind plans to turn it into hotel accommodation, although the School has not responded to the offer. It follows an earlier bid to turn over the architecture building at Strathclyde University for a similar use. 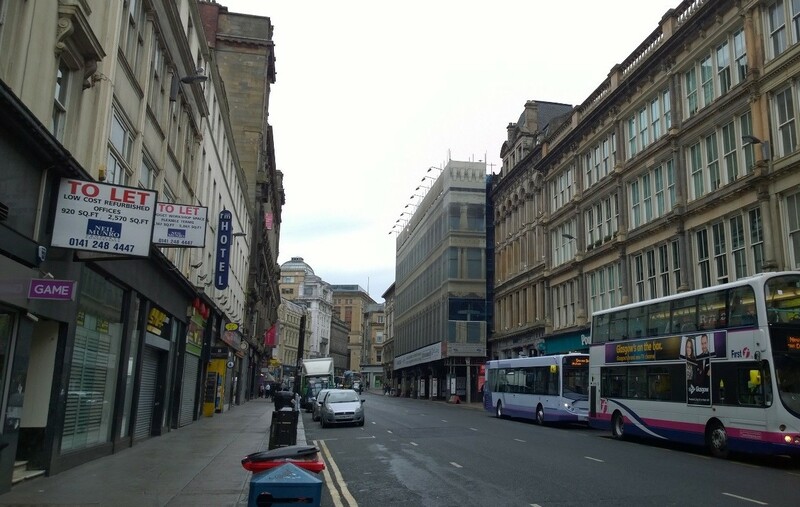 Backers of the planned renovation fear that the building could be overlooked amidst the publicity surrounding the public appeal for cash to restore the Mackintosh Building. 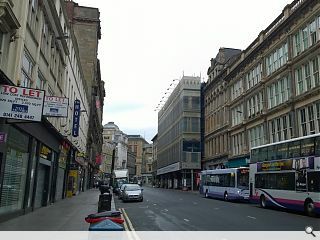 Glasgow City Council are currently moving to enforce the removal of protective scaffolding in place over the Union Street façade but USP /USI's conservation architect and structural engineers state that this is needed to protect the building from further deterioration and also to ensure public safety. A report recommending this has been submitted to GCC by The Morrison Partnership/Addison Conservation. The accidental fire at the GSA nearly destroyed a national gem. The Egyptian Halls, meantime, which clearly are of architectural merit, have been left to deteriorate through lack of investment, resulting in the current dereliction and neglect. Money will solve it. But is GSA not covered by insurance? Why should grants, lottery and other public & private fund raising to used to let insurers off the hook? And with Egyptian Halls - why should lottery and public funding be used to benefit land owners who neglect and fail to maintain their listed building? It just shows how weak the enforcement powers are to tackle owners of listed buildings who neglect their asset. My enthusiasm for Mackintosh is equalled only by my enthusiasm for Thomson - my photograph of Egyptian Halls was spread over the cover of AA Files a generation ago to try to convert southerners to his cause. But I find the bizarre contrast to the GSA proposed by Derek Souter (that its loss would be more grave and serious) sad and depressingly ignorant. What hope has the Thomson building (even though it's just floorplates and that extraordinary street-edge) in his hands? 1, Scot Govt/GDA/GCC/Hist Scot failing to award the funding of £2M for a scheme that preserved the Egyptian Halls compared to the £1.5M that had been awarded to the scheme that removed the floors and then would have destroyed the structural engineering masterpiece that still is the Egyptian Halls. 2, Then when some of the grant funding was re-awarded and progress on the other funders was being made, it was discovered that GCC could not convey the Upper Floors to USP Ltd as it had contractually agreed, which GCC stated was caused by an error. And as it turns out, there was no error and in fact this was due to a narrow decision, which did not take into account the strategic ramifications it would cause. 3, The then former owners took full advantage of this “error” and got a free claim to the Lands Tribunal, which took from 2000 to mid 2008 to reconcile. And was only reconciled by USP buying out the last former owner who by then had lodged an action at the Court of Session. 4, By then scheme costs had more than trebled, deterioration had continued to accelerate, valuations fell by 60%, commercial funding disappeared due to the recession and GCC offered a grant, which it then changed to parameters making it impossible to meet the pre-conditions. So the hold up is only due to the inability to fund the project deficit caused by a complete failure of the Scot Govt. and its agencies to collaborate effectively with the Egyptian Halls co-owners. And if you wish to hear more then please try to attend the shortly to be announced Public Meeting 9th or 10th July. I’d be delighted to meet you. Shock, developer makes poor strategic decisions and more then once seems to take eye off the ball, but it's every one else's fault!! Why does anyone need to collaborate with Souter?? If he can't make it work then sell it, don't expect us taxpayers to bail out your failed money making scheme! Very soon you'll be able to read for yourself as will everyone else that is interested what you defines as "developer makes poor strategic decisions" will be rebutted 100%+. Also the "poor decisions" were not in fact made by the developer either. All to come- All to come!!! And the comment "and more then once seems to take eye off the ball", can you clarify what you mean? Also the Ground Floor, which is the loss making part of the project has been up for Sale for close on 4 years and yes there has been many interested parties but they all depart immediately they get confirmed just how much it will cost to lift the incumbent LBRN. And also come along to the Orange Room, The Lighthouse, Gordon Street, Glasgow 9th July 9.30am for 10.00am you'll not be disappointed with the content; surprised dismayed and more than likely perplexed by it all! Poor decision in purchasing the building for a start without having the clear means or an effective plan to develop it! So the loss making area is up for sale but not the marketable upper floors, very good. You are very selective in your take on everything here aren’t you, especially in taking no responsibility for your own actions? If you are not happy, sell the WHOLE building and walk away, don’t expect me as a tax payer to contribute considerable sums towards lining your pocket. You bought the building as a development opportunity, not as some philanthropist. Market forces, if you can’t make it work someone else can, without bleeding the public purse.